To my knowledge, I don't know anyone who was injured last night (local coverage). Pretty much everyone I know back in the Cities works in other areas. So, at 6 p.m. they would have been elsewhere. The child bride used to drive across that bridge every day to get to work. The I-35 (the road that collapsed) is easily the busiest road in the metro area. From Burnsville to Forest Lake it is almost always slow. Where it collapsed, in the heart of everything, traffic would have been at a standstill even if things hadn't been reduced to one lane. That factor only means that fewer people were affected than would have been. This is a huge shock if not simply because in the Twin Cities people pride themselves on doing things properly. 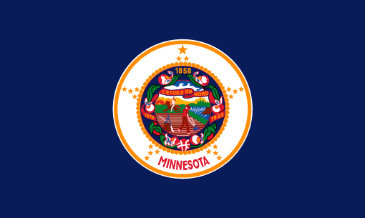 When you drive around, occasionally you will see signs in people's yards that say "Happy to pay for a better Minnesota," indicating the resident's willingness to pay more tax and maintain the quality of living that makes one forget about the miserable weather. Road projects are constant in the Cities -- they take too long and cost too much money and frustrate everyone, but in the back of your head you always console yourself by thinking: "Well, at least all this time and money means it's being done properly." Something now has gone horribly wrong, and in probably the worst place imaginable. I-35 is a major artery, so the effect of this disaster will be felt for an extremely long time. And whatever political ramifications that arise will likely be felt severely. For those of you playing along at home, I hope you're alright. Aside from the very real human tragedy involved, traffic will be so f-cked here for years because of this. I mean, there's no good way to cross the river going north from the heart of Minneapolis without getting off the highway and taking side streets or cutting through downtown. Argreed. I just got back to my apartment after leaving work. What was a 20 minute drive turned into 40 minutes, and I didn't think I was that close to 35W for it to matter!!! Traffic here is going to be AWFUL for a good long time. My heart goes out to all the people waiting to hear about their loved ones and knowing that no news is very bad news. It must have been tremendously scary. It makes a little refrain I used to tease my father with as a toddler horrifically real or oddly near prophetic: we used to live a block away from West River Drive, and every day as we'd cruise along I'd say "Don't drive into the river, daddy!" The Minnesotans on the news coverage are making me proud. The national journalists seem to be trying to get them to be more sensational and hysterical and they're just not. One guy on a CNN interview actually said in true 'How to Speak Minnesotan' form, that he was relatively lucky and "it could be worse." Too bad they didn't build a more comprehensive PUBLIC TRANSIT SYSTEM a long time ago. MacAskill's story highlights his lack of understanding in a lot of things, not least of which is Twin Cities geography. The story claims the 35W bridge linked Minneapolis and St. Paul. It didn't. Whatever happened to that one guy?